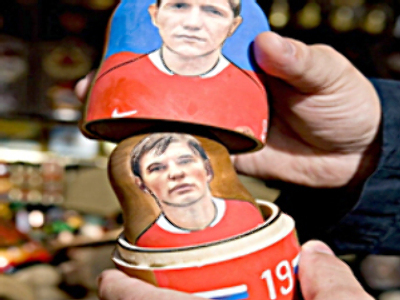 Real Madrid may become the next club for Russia’s Euro 2008 hero, Andrey Arshavin, the Spanish A-S newspaper reports. The Spanish superclub wants to take the 27-year-old on loan. And if the loan period proves satisfactory to both parties, Real will weigh in with a $US 37 million transfer offer. Real and Zenit are playing in the same group in the UEFA Champions League and fighting for second place, which would be enough to qualify for the play-offs. It may be happen that Arshavin will play his last game for Zenit against the Madrid giants.